Use painters blue masking tape instead of the traditional beige masking tape. A carbra takes 2 weeks from measurement to fabrication. Don't lower the car with the splitter on. I had 987.1 Boxster S with H&R lowering springs installed and with just the factory bar, I was scraping on almost everything - it was a PITB. With this splitter and lowering springs/coilovers installed - it will bound to scrape. If it is an insurance claim then go back to Porsche Southside Sydney (Factory owned dealership). You are not paying the bill so why go to a 3rd party? I'd take Sports Chrono and PSE over PASM anyday. What do you need? I might have what you are looking for. 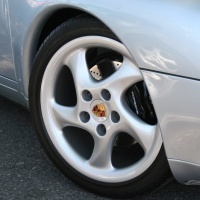 I had H&R lowering springs on my 987.1 and it improved the stance and handling but you will have to careful around speed bumps and some steep driveways as the front bumper will scrape. Why not go full hog and put in a 3.8L instead?! Yes, there is a difference. I had the Fabspeed on my 987.1 Boxster S. Autohaus Hamilton had to do a slight modification to the bolt holes to make it fit - esp after I put in H&R lowering springs. Can you back out of the deal? I won't recommend putting in the Fabspeed exhaust as it drones quite badly at around 2500rpm. And you lose low end torque - it pushes the power band up the rev range. I would put in the Carnewal modded stock exhaust instead. https://www.facebook.com/dentzoneaustralia/ He does all the dent repairs for the Alto group. Based in Hornsby. Charged me only $50 for a small shallow dent. Works Saturdays and does it while you wait. Very friendly guy. The cops have upped their patrols of MCR in recent times - just passed one yesterday. So do a slow run through first and then do a U-turn and run it again. They usually sit on the two straight stretches just after the restaurants near the roundabout.